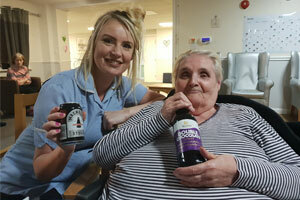 A Stout and sandwich afternoon was enjoyed by Northumberland care home residents – after they asked for more foodie activities. Staff served up flavoured stouts and various cobs, bagels, loafs, wraps and cakes at The Oaks Care Home, on Durban Street, Blyth. The feast was a hit with residents, who enjoyed a taste of the milk or chocolate flavoured beers with their spread of sandwiches. 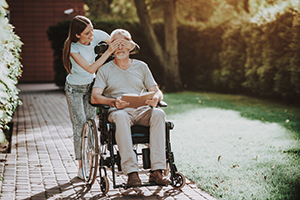 It is no secret that there is a recruitment crisis within the social care sector and recent statistics suggest that one million new care workers are needed by 20251to cope with the ageing population. Statistics show that currently, 800,000 young people are not employed or in education2, and evidence suggests that by attracting these young people to apply for a role within your care setting, it can bring new, fresh ideas and different perspectives on caring for others as well as helping to plug this gap. A pioneering new training program, Dementia Matters Academy, is helping people to secure work within the North East’s adult social care sector. Dementia support charity and residential care provider, Dementia Matters (previously known as Dementia Care), has launched the new Dementia Matters Academy to help fulfil its recruitment needs while also encouraging more people, including school leavers, into roles in care. Minutes count when a person collapses in sudden cardiac arrest (SCA)and AED machines have been described as the ‘single most important development in the treatment of SCA’ (Resuscitation Council UK). You may have seen the green boxes appearing in various public spaces, i.e. shopping centres, petrol stations and they are continuing to be rolled out because along with CPR, using an AED can dramatically increase the chance of survival. Due to the increase in awareness of defibrillation, we want to ensure that anyone who attends our first aid courses has the chance to practice using an AED. You don’t need any training to be able to use onebut we want to help improve confidence and reduce the hesitance towards using them in an emergency situation. 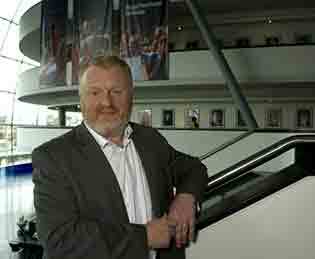 Fraser and Fraser have been working with the Public Sector for more than 40 years. We support Local Government department who need to identify and locate people, often next-of-kin of a deceased person and the reason for this can be vast and varied. AN “UNFORGETTABLE” party was held at a Rotherham care home to celebrate a resident’s ruby wedding anniversary. 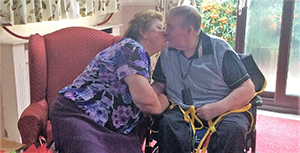 Broadacres Care Home, on Naylor Street, Parkgate, invited family, friends and fellow residents to join Michael and Pauline Crowley in celebrating 40 years of marriage. Staff at the home put on a buffet and served bucks fizz to toast the happy couple. 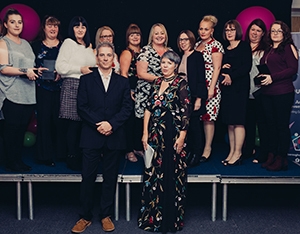 Borough Care, the largest not for profit provider of care for older people in Stockport, recently held its Employee Awards 2018. The annual event celebrates the hard work and dedication of people working for Borough Care. Borough Care staff were nominated for awards in ten categories. The winner of the ‘Above & Beyond’ category was Amanda Harrison who works at Bamford Close in Cale Green. Amanda is always thinking of ways to improve the environment and to make day to day life brighter for residents. The ‘Aspiration Award’ was won by Robin Bowden, from Lisburne Court. Robin joined Borough Care in 2017 and since then she has shown great enthusiasm for learning and developing herself. Meadway Court’s Judith Burgess won the ‘Best Newcomer’ award. 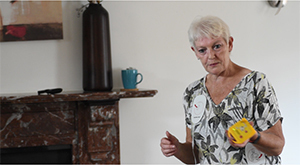 Judith joined Borough Care in August and is already well settled into her role. A SURPRISE party was thrown by Tyneside care home staff in celebration of a resident’s golden wedding anniversary. 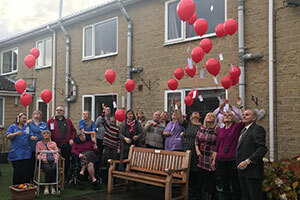 Banners, balloons and a cake were brought out at Willowdene Care Home, in Hebburn, to commemorate Mary Collins’ 50 years of marriage to husband Jimmy. Mary, who has lived at the care home since 2016, was surprised by staff after seeing anniversary decorations in the lounge. 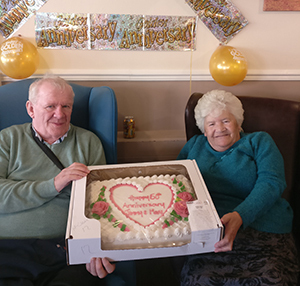 Cards and a specially made cake were presented to the couple to congratulate them on their milestone. 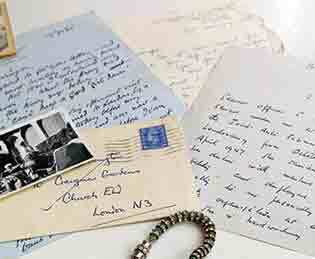 Next-of-kin are losing out on inheritances or having to pay excessive charges to claim them as a result of increasing numbers of local authorities disregarding Government guidelines for identifying rightful heirs where people die with unknown relatives and without leaving a will. A comprehensive research report by an international genealogy firm, Anglia Research, shows that there was an increase of 90% between 2016 and 2017 in the number of local authorities ignoring Government procedure for dealing with the legacies of people dying intestate. 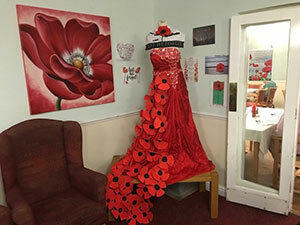 A POPPY gown has been created by a Sandiacre care home residents to mark the centenary of the end of the First World War. The elaborate frock has been covered in handmade poppies of different sizes and is adorned with the phrase: “Lest we forget”. 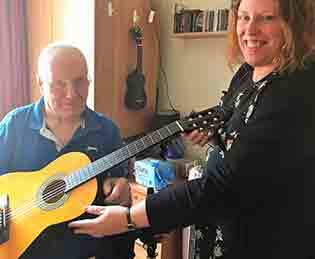 Residents at Longmoor Lodge Care Home, on Longmoor Lane, came up with the idea after informing care home staff they wanted to do something special for the centenary. Treetops Hospice charity shop, on Derby Road, loaned a manikin to the care home for the project. Residents then painted paper plates and cut them into poppy shapes before attaching them to the gown. Loving husband Peter Stapleton donated a bench to a Chesterfield care home in memory of his wife. Jill Stapleton lived at Barnfield Care Home, on Heath Road, Holmewood, for over four years, until February 2018. A remembrance ceremony was held at the home with Peter, Jill’s friends, fellow residents, family members and care home staff. Those at the ceremony were invited to write messages to loved ones lost, which were attached to balloons and let off in the home’s garden. Joanne Clark, home manager at Barnfield Care Home, said: “Jill was loved by everyone at Barnfield Care Home. 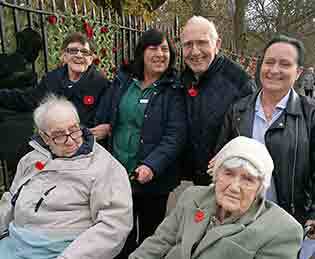 TEESSIDE care home residents, Mandale House Care Home, were among those to attend a Remembrance Day ceremony at Thornaby War Memorial. Residents and staff from Mandale House Care Home were joined by army, navy and police cadets, civic officials and pupils from schools across the town. Among the care home residents were Second World War Merchant Navy veteran Leonard Harnden, alongside Billy James and Peter Wilson. RIPON care home residents, Sycamore Hall Care Home, have been creating poppy displays to commemorate 100 years since the end of the First World War. 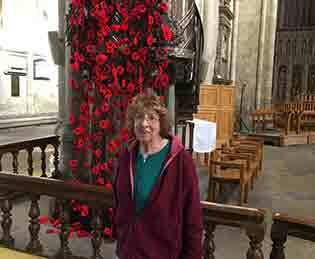 Residents at Sycamore Hall Care Home, on Kearsley Road, have also taken a trip to Ripon Cathedral to see The Remembrance Day exhibits. The activities brought back memories for many of the residents, who had relatives and friends who fought and died in the war. Doreen Ainsley and Ellen Knowles were among those painting poppies for displays in the care home. A Censuswide survey, commissioned by Ridouts Solicitors, a leading specialist law firm in the health and social care sector, shows there is widespread support for individuals to save for the cost of their care in later life. 57% of Conservative supporters surveyed thought it would be fair to ask those with the means to do so, to make provisions to pay for their care in old age. Only 13% disagreed. Ridouts has today published a report on the future of social care, ‘Achieving a Health and Social Care System Fit For Purpose’, which sets out their expert vision of how to solve the current challenges facing the social care sector. The law firm is calling for greater personal responsibility when it comes to funding social care. The survey’s findings show that the majority of Conservative voters would support such a policy, paving the way for the Government to reform the social care payment system in this way.